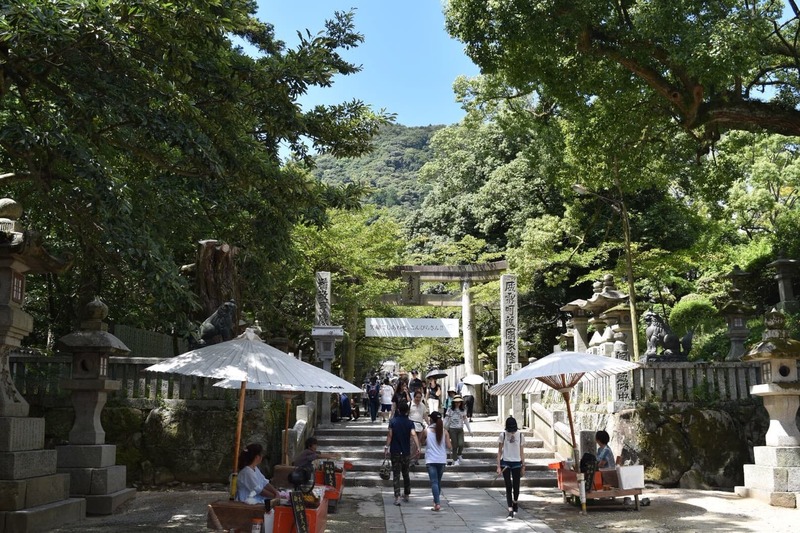 In Kagawa Prefecture is the town of Kotohira (琴平), home to the biggest shrine complex in Shikoku called Kotohira-gū (金刀比羅宮), Konpira-san (こんぴらさん), or simply the Kotohira Shrine. Though there are a number of Konpira shrines around Japan, this is the main one, located on Mt. Zozu (象頭山). 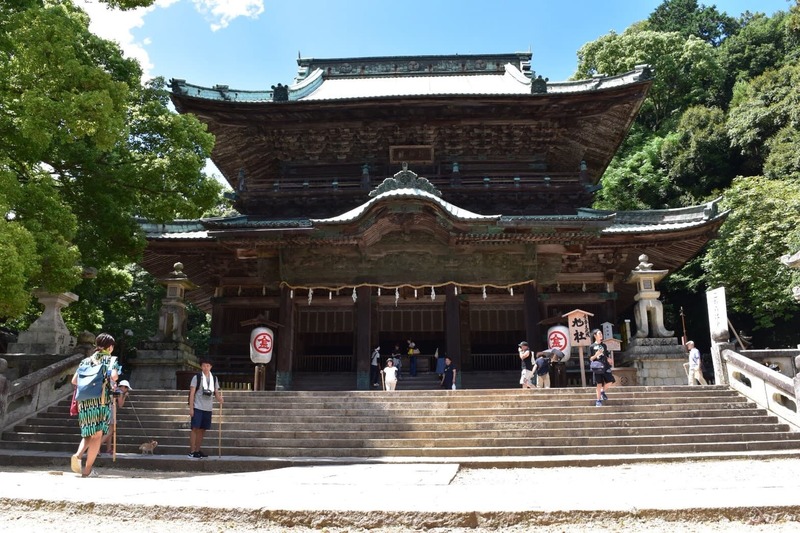 These shrines are principally Shinto now, but Buddhist influences can be seen in multiple structures. 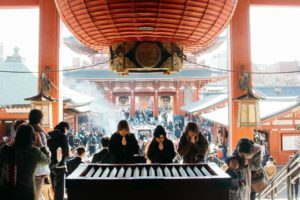 Konpira shrines are dedicated to safe seafaring, protecting sailors and fishermen. 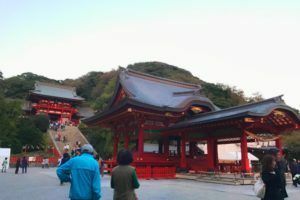 The location of the Kotohira Shrine is significant because of its proximity to the Seto Inland Sea, which to this day is used as a trading route by many ships. The mountain itself is used as a landmark to help navigate these waters. It is also considered to be a scared site for all travelers. It is believed that once you visit the site, all your journeys will be blessed. 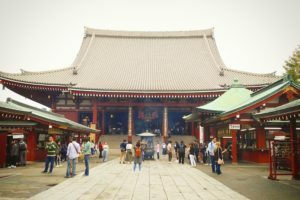 Because of this popular belief, the Kotohira Shrine is considered a major pilgrimage site. 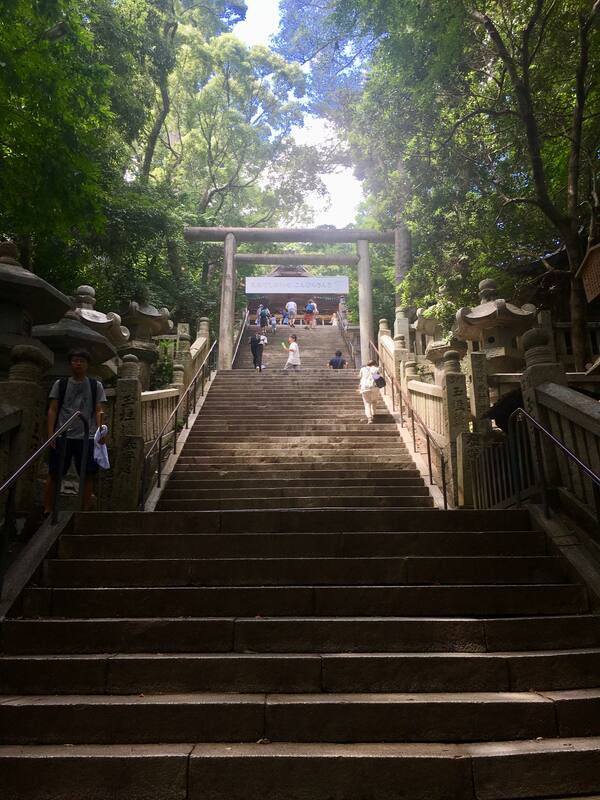 Another reason Konpira-san is considered a pilgrimage site is because getting to the summit is a rather onerous walk up 1,368 stairs. 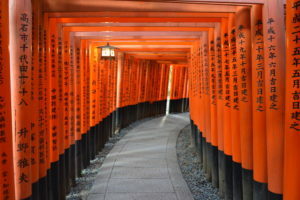 Despite this formidable journey, it is one of the most popular pilgrimage sites in Japan. If you don’t feel like walking, you can opt to only go up to the main hall, which is a total of 785 steps away. There is also the option of hiring a palanquin to be carried up, but if you are physically able to do so, I would encourage you to try using your own two feet! The satisfaction and the view when you reach the top are thoroughly worthwhile. 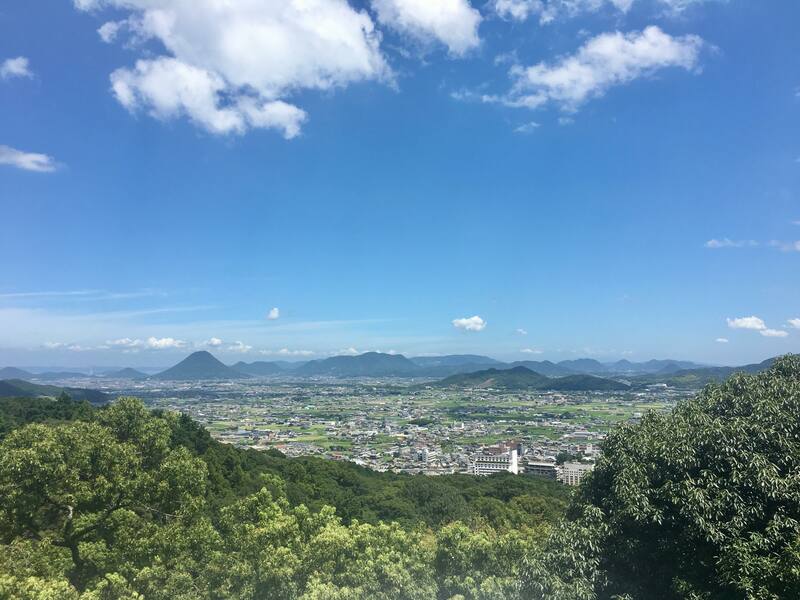 The climb begins through a sloping street where there are many shops selling souvenirs, along with restaurants mainly serving the famous udon of the Kagawa Prefecture – Sanuki udon. This gate marks the official start of Konpira territory, and is located at the end of the street. There are a couple of stalls here along with the last of the vending machines, so it is a good place to stock up on some drinks before embarking on your walk. Just inside the gate there are also five vendors under white parasols who have special permission to sell traditional Japanese sweets within the complex. 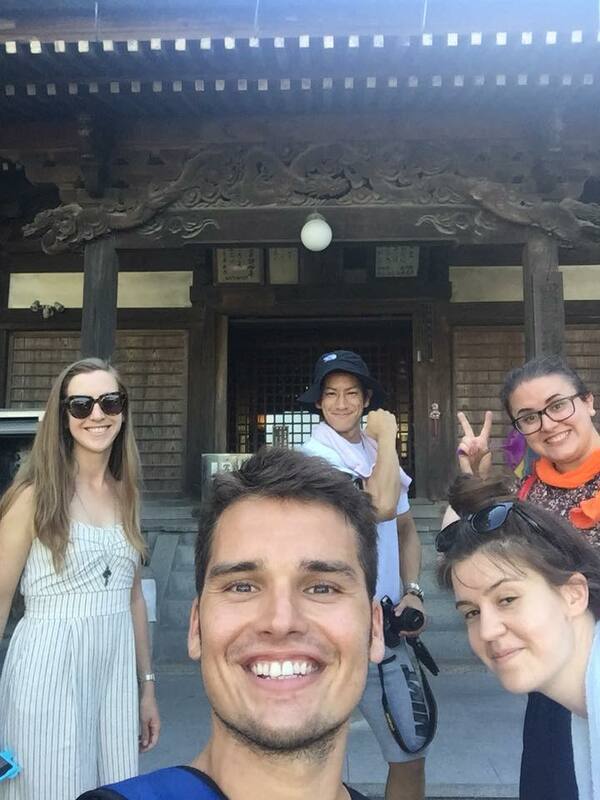 The Kotohira complex is vast; the small proportion of the whole area that is open to the public is plenty to explore. 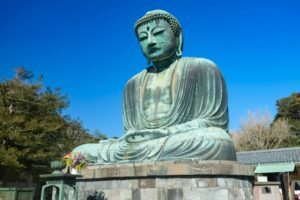 You will notice a number of shrines, statues and museums off the side of the path that are worth visiting if you have time. 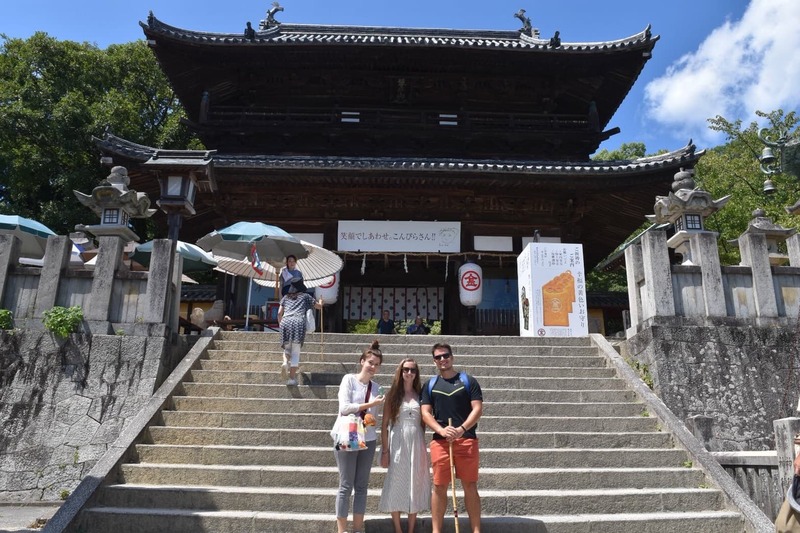 At the Omon (大門) gate, located about a quarter of the way up, there are several buildings including a stable and a statue of a Konpira dog, or Konpira Inu. 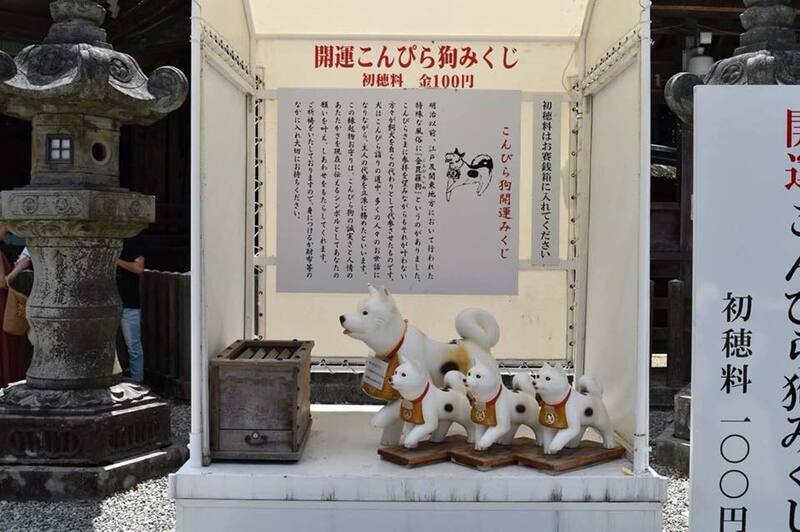 You will see many references to the Konpira dog throughout the shrine and in the souvenir shops. They honor the memory of the dogs that used to be sent in place of their masters who could not make the pilgrimage personally. Notice the pouch around their necks which would have contained a monetary offering. One thing I recommend is paying ¥100 to pick a fortune from the back of one of the dog figures; inside a little envelope you will receive a paper fortune written in kanji and a tiny gold dog figure. It is fun to read the predictions for your future, and is a great memento to take away from Kotohira. 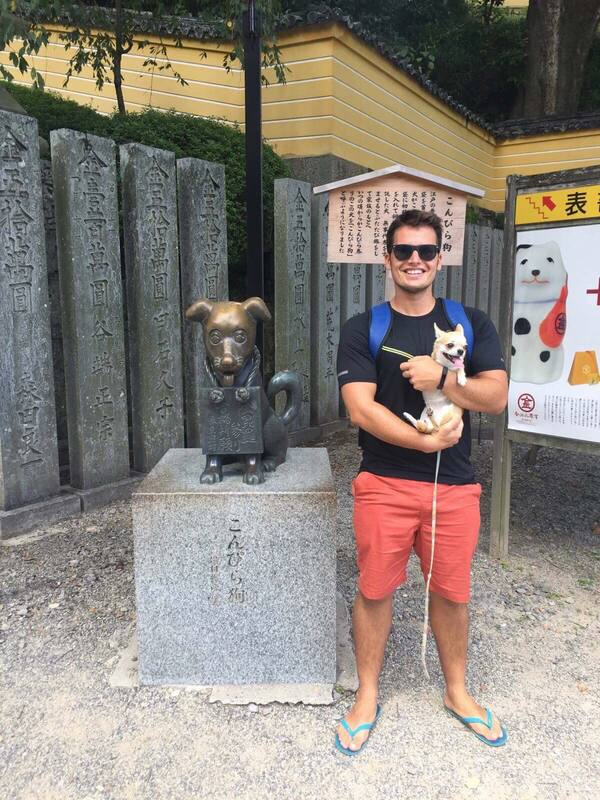 Dogs are still welcome within the shrine so feel free to bring a furry friend! To the right of the impressive main hall is the viewpoint, offering spectacular views over the Sanuki Plain and Mt. Iino (飯野山) with its Mt. Fuji-esque shape. To the left is Ema Hall (絵馬堂) which displays various artworks related to seafaring. The last stretch of the journey is definitely the hardest but also the most spiritual; there are fewer things to distract you as the path winds through the forest. It is much more peaceful here as the majority of visitors do not go any further than the main shrine. Izutama Shrine (厳魂神社) itself is less impressive than the others in the complex, but the view is beautiful, and being high up on the mountain creates a tranquil atmosphere. 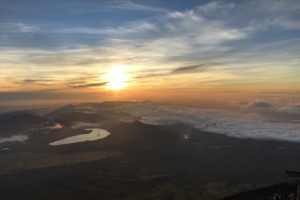 You’ll be tired but chuffed with your efforts at completing this famous Japanese pilgrimage and can look forward to a much easier walk on the way back down. The start is an easy ten-minute walk from JR Kotohira or Kotoden Kotohira Station. You can take a bus from either station to the entrance gate, approximately halfway up to the main shrine. Reservations are essential and can be made at the Koto Bus website (link in Japanese).